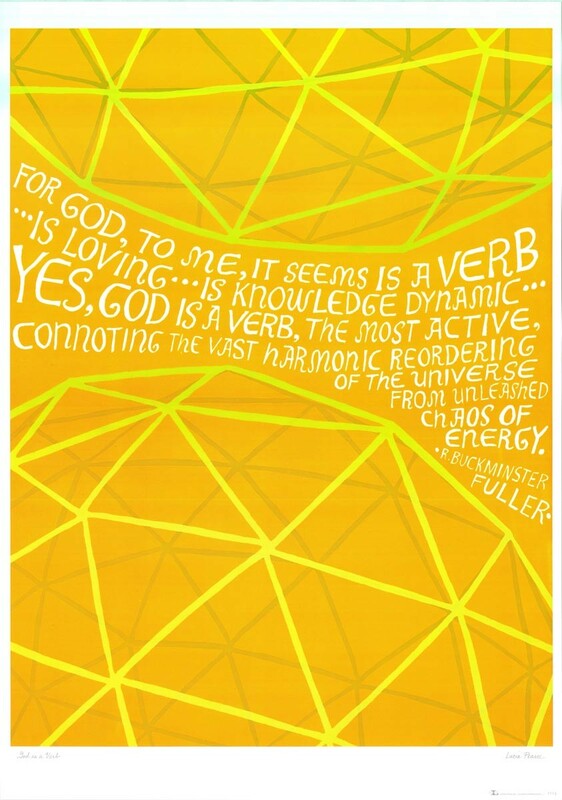 The words are by R Buckminster Fuller, an architect and author who among other things invented the 'geodesic dome' - which is what the Eden Project buildings are - which you can see elements of in the design of this poster. It's a really profound statement that will get you thinking every time you see it. And it's just such a marvellous poster to look at too, really interesting and well-designed. You wouldn't find anything like this in Athena! The artist Lucia Pearce was a crucial figure in the birth of the 'New Age' movement in California and is now a world-renowned art therapist and writer. 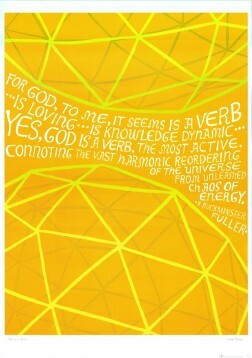 She trained as a Montessori teacher and these posters were designed by her to uplift and inspire both adults and children, drawing on the words of writers such as Kahlil Gibran and Rilke as well as Fuller. They are really eye-catching and the colours are so vibrant, with beautifully simple designs and wonderful words.